The strength of your SEO strategy plays a significant role in whether the customers you want are finding your website. Here we outline the important areas you want to focus on to improve the SEO of your company's website in 2018 and beyond. It’s an inescapable truth that search engines are the gateway between businesses and their customers. So, as a business owner, if you want to reach your audience online, an effective SEO strategy is essential to bringing the right traffic to your website. What is SEO? This stands for search engine optimisation, and it is all about the techniques that help your website rank higher on Google and other search engine results pages (SERPs). 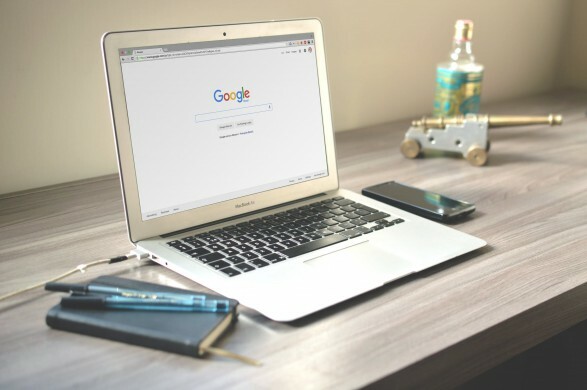 You may have a basic understanding of what SEO is and that you need it, but you may not be fully aware of how important it is for the future of your business. The first page of organic results account for over 71% of clicks for a search query? Google makes major changes to its search engine algorithm every month? With this immense search volume, which continues to grow day by day, knowing how to improve your Google ranking is vital in reaching your customers and standing out above your competitors. That is where SEO solutions can help your business climb and create lasting results for your website. Above all else, a strong SEO strategy helps your website improve its position on search engines, which in turn generates more traffic to it. As mentioned above, being on page one of Google is crucial to attracting the highest volume of clicks to your site. What’s that old saying? The best place to hide a dead body is Page 2 of Google, because nobody’s ever going to find it. Through a combination of practical on-page and off-page SEO techniques, your website will gradually climb the search engine rankings, making it far more likely they will discover your company when searching for your products and services. So, you’re getting more traffic. But is it the right traffic? A cheap SEO agency might get you to page one for certain keywords, but these might not be the terms your target audiences are using to find companies like yours. That’s why a considered SEO strategy is required for businesses to not only rise through the rankings on Google, but do so for the correct keywords. Only by having a firm understanding of your audience, and by conducting thorough keyword research, can you discover what phrases to aim for. This way, you’re not only securing more traffic – you’re attracting concrete, qualified leads to your business. SEO in 2018 has evolved a lot from a decade ago, when stuffing your website with the relevant keywords would be enough to artificially push you to the summit of Google’s rankings. Today, thanks to algorithm updates like Hummingbird and RankBrain, search engines are better at determining what content will adequately serve the needs of the searcher. So, good SEO practice improves the quality of content on your website. This makes it more likely people will read, absorb and crucially share your content on social media and other forums, bringing more eyes to your business. In addition, SEO services identify areas of your existing website that are thin on content, ensuring you’re no longer being dragged down by irrelevant or ineffective content. This may be improvements to the navigation around your website, adding ALT tags to your images, or revamping the speed of your website. These aspects and much more all factor into how your website ranks, and the support of a professional SEO agency will help you cover all bases. Being highly ranked in organic search results is a clear indicator to searchers that you are an authority in your industry. You haven’t simply paid to place your website at the top of the page – search engines have determined that your website provides one of the best answers to their search query. This organic ranking means a lot – remember, between 70% and 80% of users completely ignore paid advertisements. So, being on the first page of “true” search engine results establishes that your website is an authority on the topic they searched for. If you can back it up with quality, informed content, this makes it increasingly likely they’ll spread the word about your company further, further cementing you as a top dog in your field. It’s hard to get to the top, but it’s even harder to stay there. An SEO strategy helps your website become a fixture in your industry by maintaining your presence on search engines. Committing to this strategy is not a quick, easy process, but the rewards it presents your business are lasting and cost-effective compared to other approaches. The support of an SEO agency to continuously monitor your visitors’ behaviour, keyword volume and your competitor rankings plays a vital role in keeping you on page one once you get there. With this backing, you outlast your competition and can quickly react to algorithm changes, altering your content to appeal to both search engines and your customers. How Should You Approach SEO in 2018? So, now we have established why SEO is important for your business. But, the real question is how you should approach your SEO strategy in 2018. As we’ve alluded to earlier, SEO today has evolved far beyond the mid-2000s. A decade or so ago, a strategy that focused primarily on the volume of keywords included on each page was enough to earn you a spot among the top-ranking pages. Today, it is far more complex. Website speed – Does it take your website long to load or navigate between pages? Keyword research – Are you including the right keywords in the right places? Do you focus on long-tail keywords? Website design – 39% of people only use their smartphone to search each day, so is your website optimised for mobile? Quality content – Do you present users with comprehensive content that responds to their query? Link building – Are other websites linking to your website? Meta information – Do your pages have compelling title tags and meta descriptions that catch the eye on search engines? Analytics – Are visitors bouncing from your website as quick as they arrive? What pages are they visiting before they depart? The goal for SEO hasn’t changed – to help your business rank higher on search engines. However, the tactics to reach that goal have changed dramatically, and continue to do so. Whether you want your website to climb the rankings on Google to the “holy grail” of Page One, or cement your position against the actions of your competitors, consistently creating, applying and refining your SEO strategy is crucial. While a truly effective SEO strategy is all about the long game, and making amends to your website’s content, design and systems that will reap results over time, there are things you can do that produce quick results. Hopefully your analytics will demonstrate some positive results. But, this is merely scratching the surface on how SEO can support your business if it is given the attention a specialist SEO agency like Storm can provide. Our experienced SEO experts take a comprehensive approach to effectively optimising your website, enhancing your quality of content and building links to relevant influencers. Our all-encompassing services drive your website’s ranking upwards, starting with a thorough SEO audit to isolate key areas of improvement. Our dedicated team then set about applying the changes that will have a lasting impact on your website’s traffic and visibility online. And, once these have been applied, our constant monitoring of search engine behaviour will keep you on the rise, ensuring we react to any algorithm changes and identify opportunities to rank for emerging topics and keywords. Get in touch with our team today if you would like to discuss your business’ SEO strategy and discover the range of digital marketing services available as part of the Digital Landscape®.